Lionel is a long-established US model rail company that much of the world isn't too familiar with. 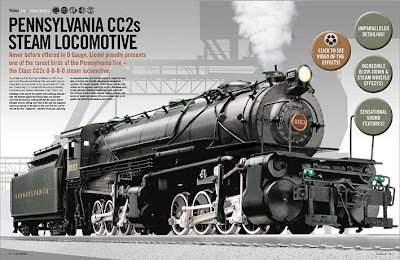 It’s a shame, as Lionel’s products are terrific for anyone interested in US railroading. But now anyone can have a close look at Lionel, as the product ranges are available to view in ‘page-flip’ format. This is an electronic version of the traditional book or magazine that opens out as double-page spreads, but with added zoom, index and multimedia features. 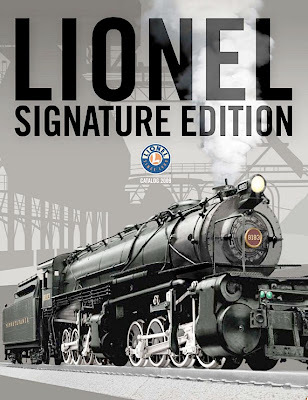 Lionel includes videos that demo swinging bell, whistle, steam, and other effects. You can visit Lionel here, though be warned - page-flips can be a little clunky if you don’t have a fastish internet connection. Even so, it’s worth being patient to see some of this really tasty 0-gauge stuff.